The section of spine from below the neck to the bottom of the rib cage is called the thoracic spine. From the side, the thoracic spine appears slightly rounded. Its shape is like the letter "C" with the opening of the “C” facing the front of the body. This normal curve is called a kyphosis. 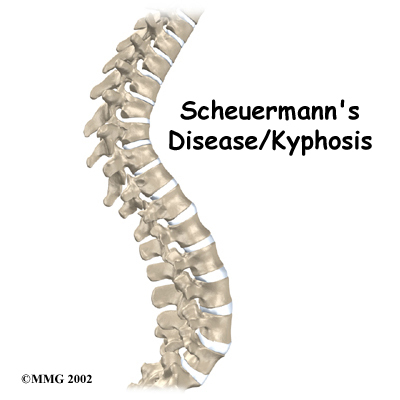 With an excessive kyphosis, the thoracic spine takes on a hunchbacked appearance. 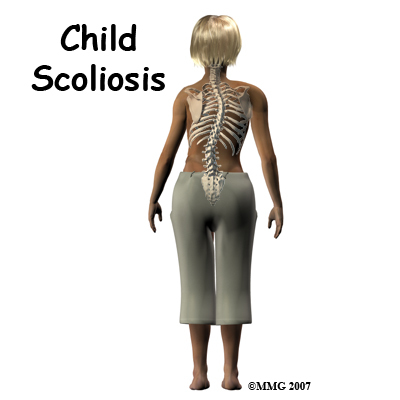 Scoliosis is a deformity in the spine that causes an abnormal C-shaped (one curve) or S-shaped (two curves) curvature. The spine is not straight but curves to one or both sides. 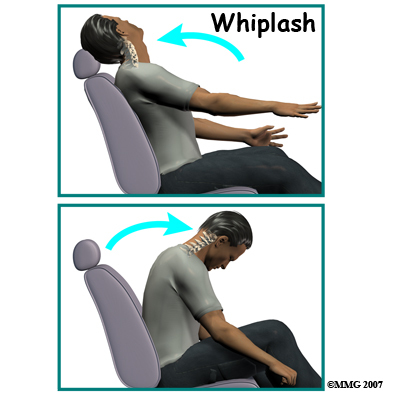 Whiplash is defined as a sudden extension (backward movement of the neck) and flexion (forward movement of the neck) of the cervical spine. 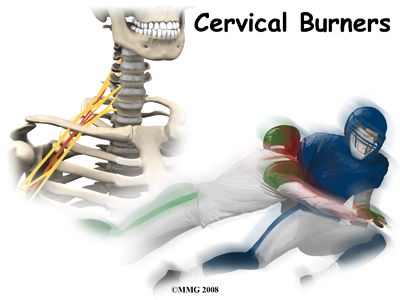 This type of trauma is also referred to as a cervical acceleration-deceleration (CAD) injury. 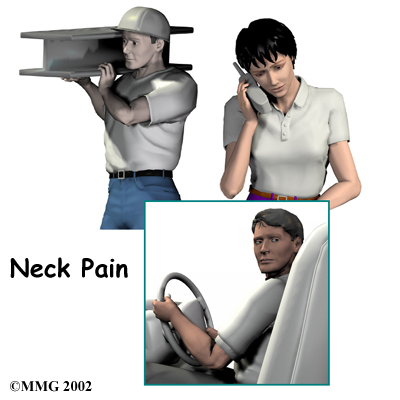 Rear-end or side-impact motor vehicle collisions are the number one cause of whiplash with injury to the muscles, ligaments, tendons, joints, and discs of the cervical spine. Neck pain has many causes. 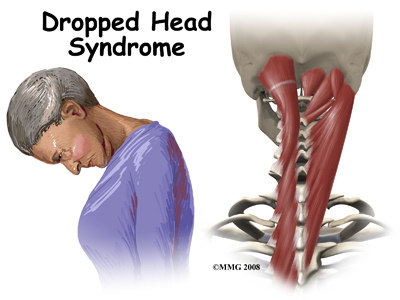 Mechanical neck pain comes from injury or inflammation in the soft tissues of the neck. 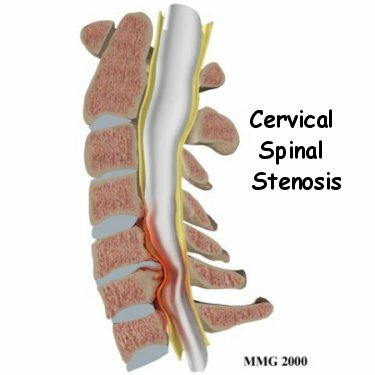 This is much different and less concerning than symptoms that come from pressure on the nerve roots as they exit the spinal column. People sometimes refer to this problem as a pinched nerve. 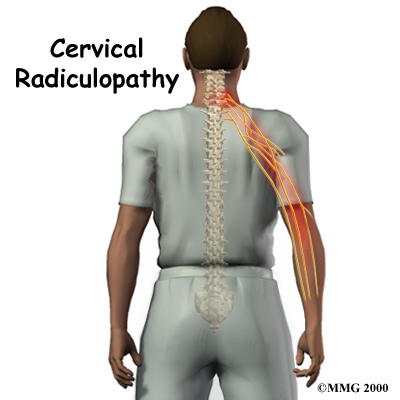 Health care providers call it cervical radiculopathy.